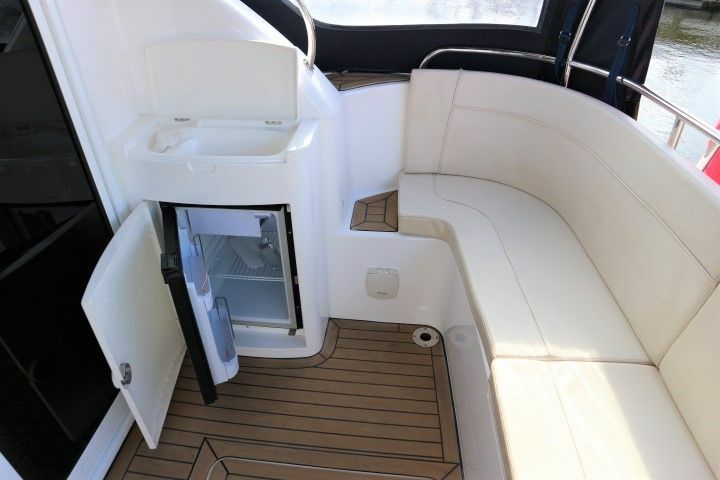 HAINES 35 SEDAN – 2011 – 1 x Nanni T.4200 (200hp) diesel engine. 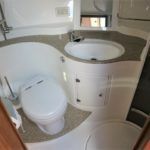 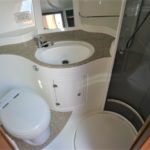 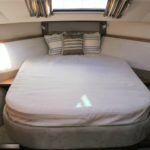 Luxury 4 berth accommodation with Island double berth cabin & 1 x electric WC and shower compartment. 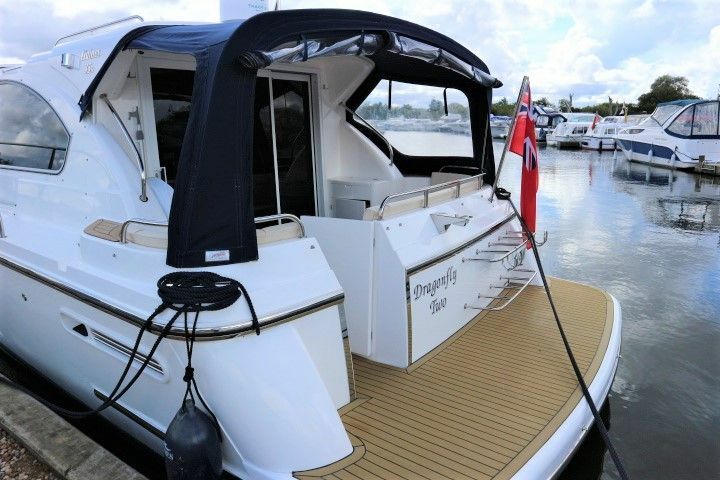 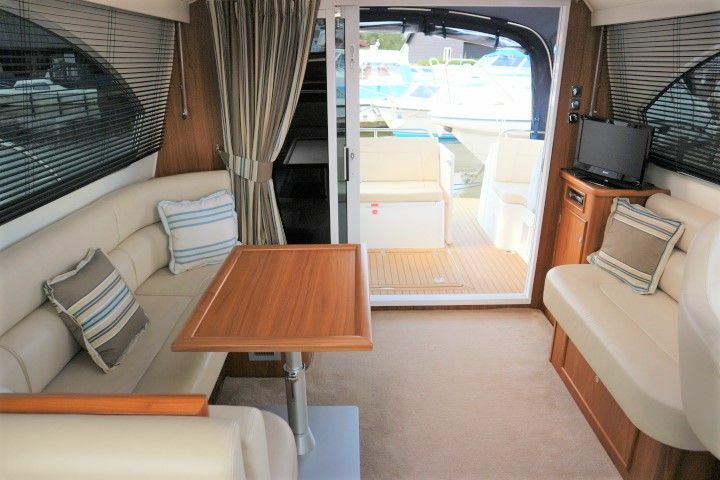 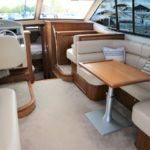 High specification including bow and stern thrusters with remote, 4KW Generator, warm air heating, inverter/battery charger, immersion heater, Leather upholstery, electric anchor winch, Avonite galley work surface, teak & holly galley flooring, synthetic teak bathing platform and cockpit, wet bar & second fridge, Raymarine Chart Plotter, Autohelm ST60 Tridata, Tracvision. 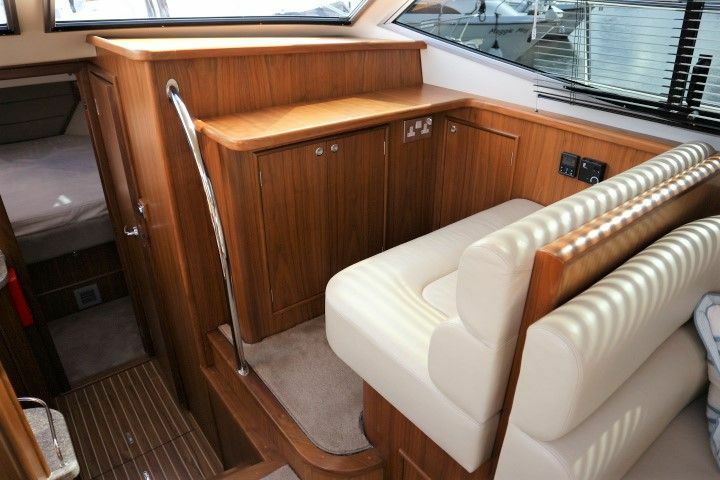 A truly sumptuous boat with exquisite build quality throughout, finished in Walnut. 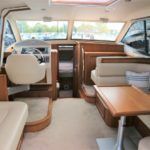 As you step inside the Haines 35 Sedan you will not be disappointed. 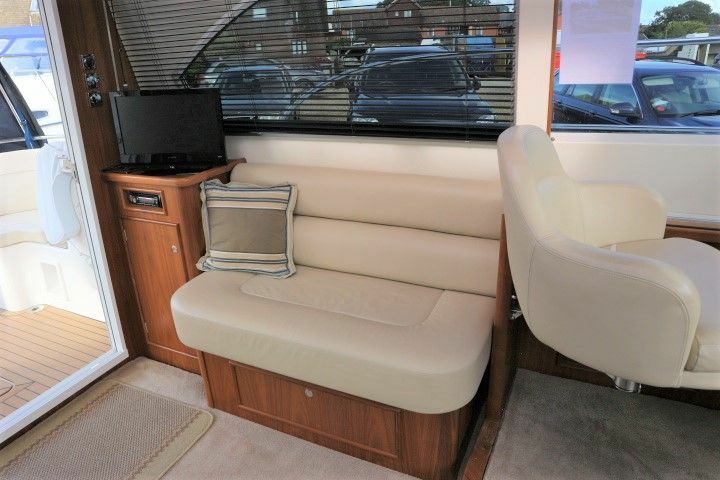 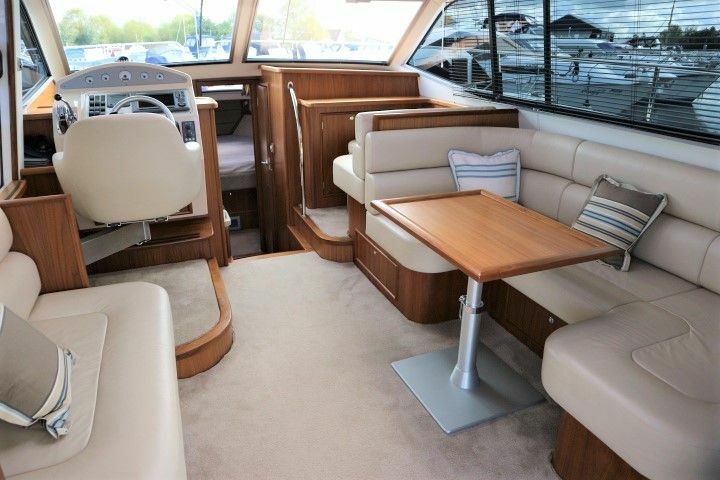 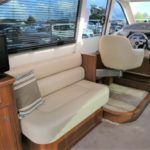 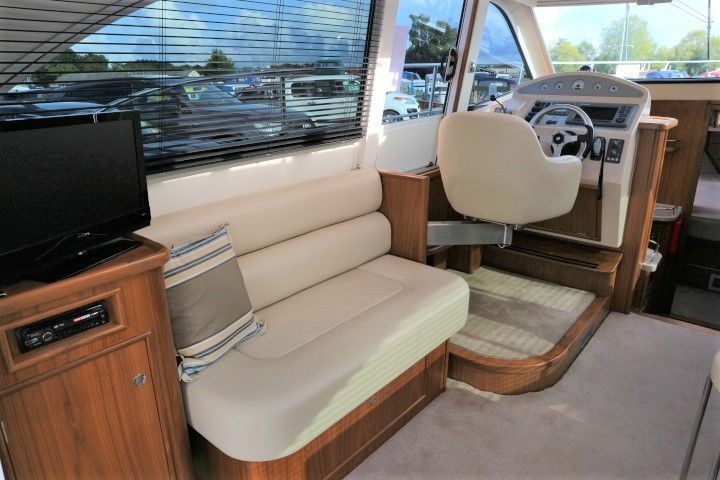 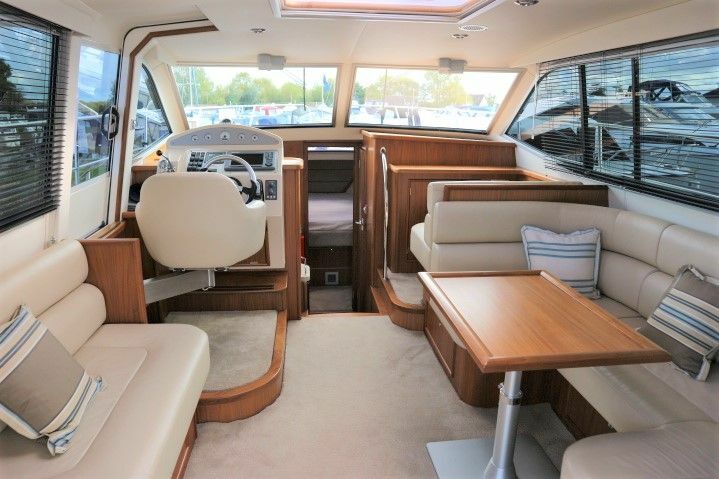 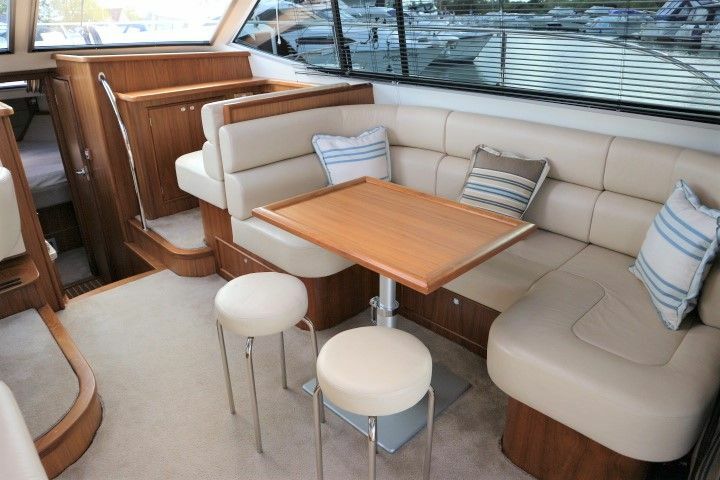 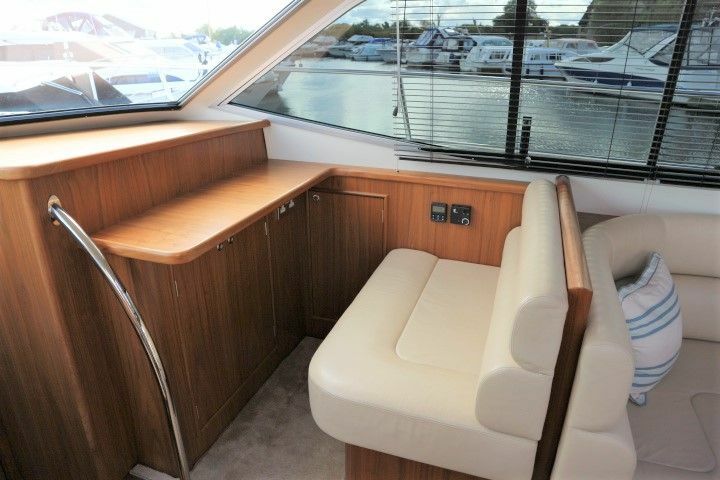 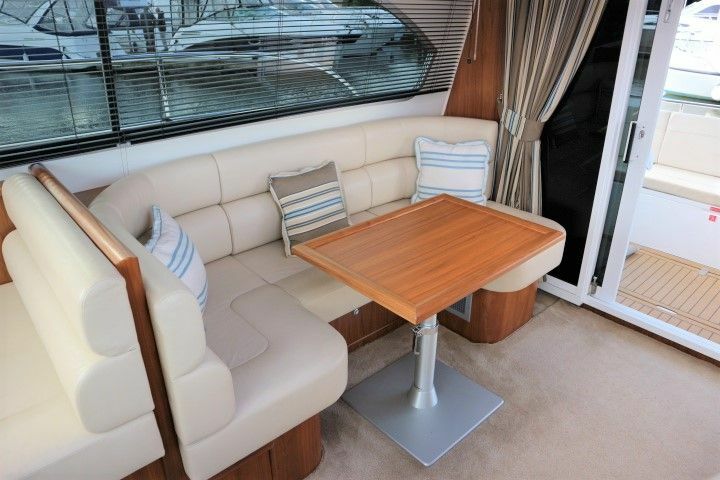 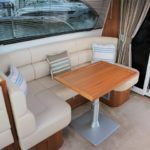 The open plan saloon is finished beautifully in Walnut, the layout provides plenty of seating for family and friends. 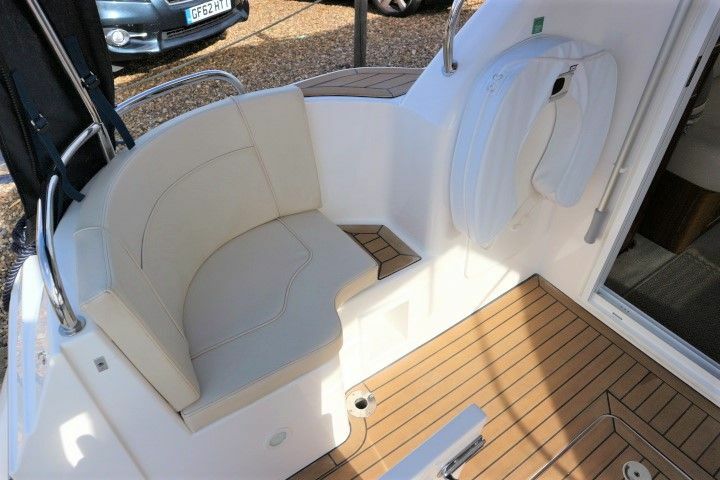 The raised seat located to starboard provides an clear view ahead for crew. 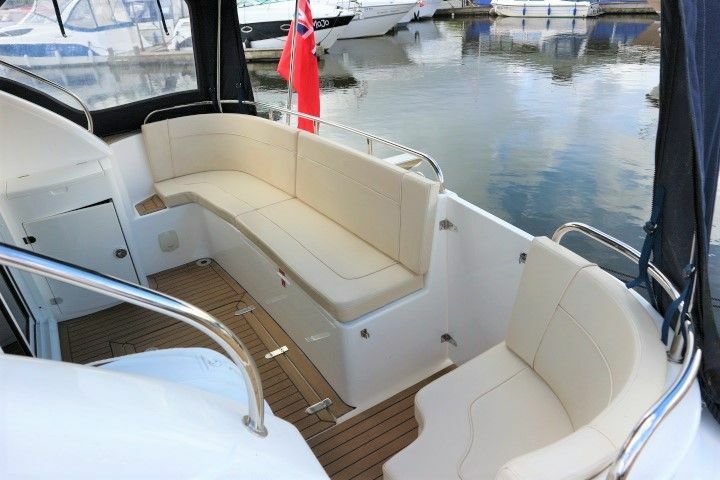 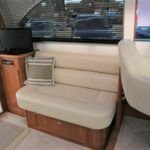 The large U shaped seat to starboard can be converted into an occasional double berth. 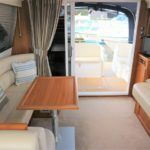 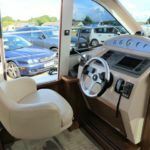 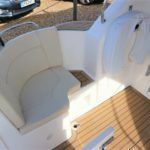 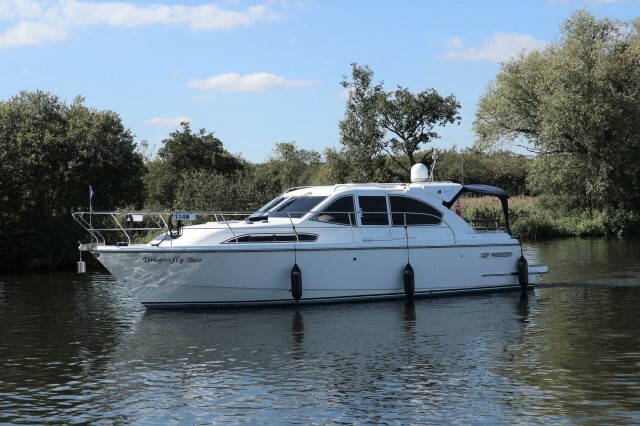 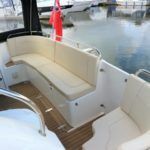 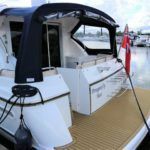 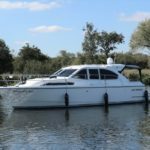 The helm position is located to port and has un-obstructed visibility along with a sliding door to allow the helmsman full deck access for mooring along with a great source of fresh air. 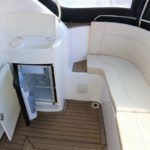 Moving out for the saloon heading forward the galley is located on the port side. 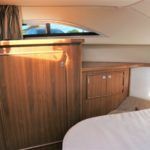 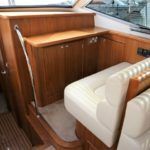 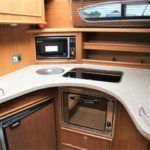 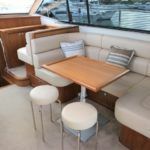 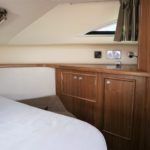 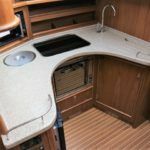 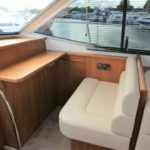 The galley is extremely well appointed with Avonite work surface, teak and holly flooring and flows seamlessly with the rest of the boat. 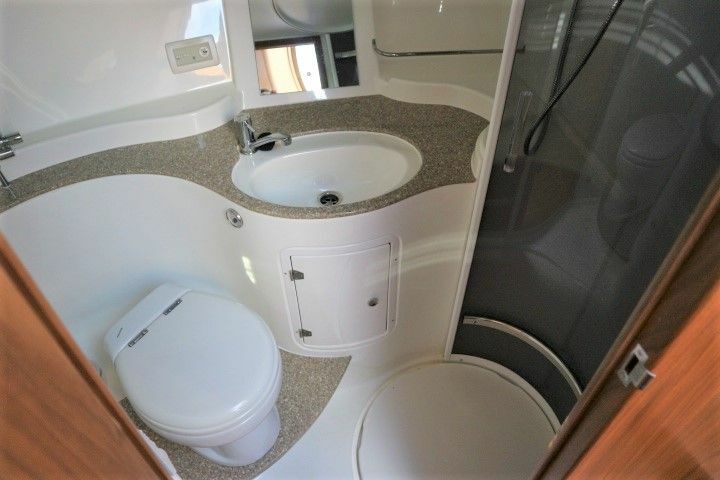 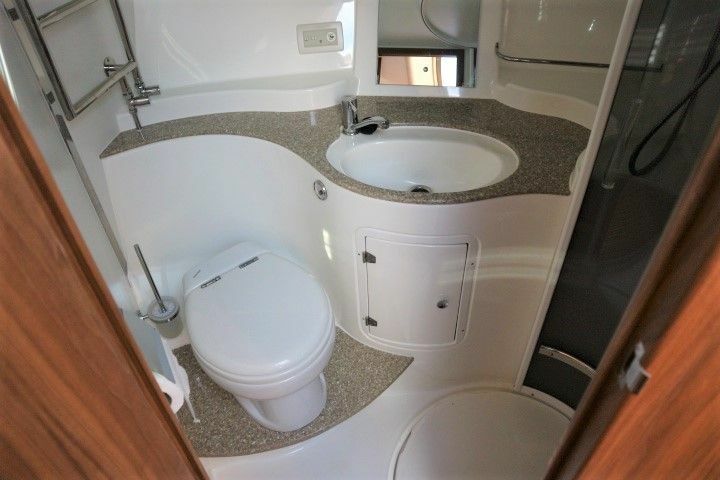 The toilet and shower compartment is located to starboard. 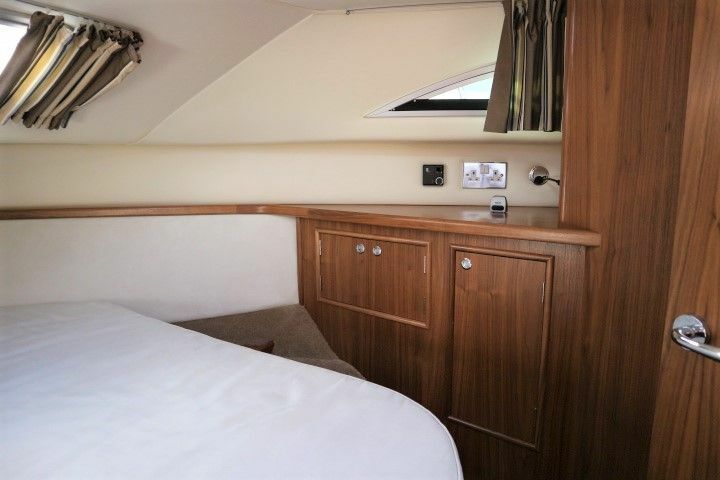 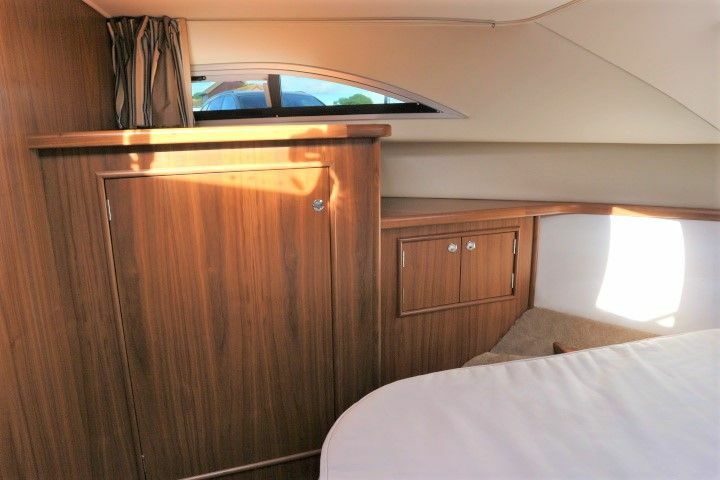 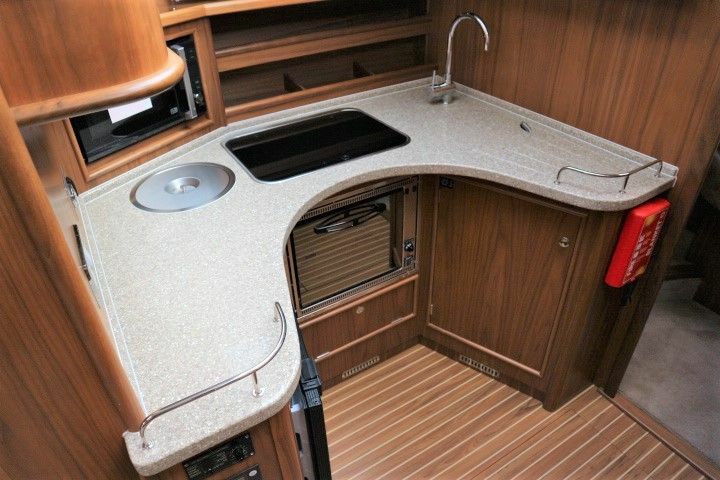 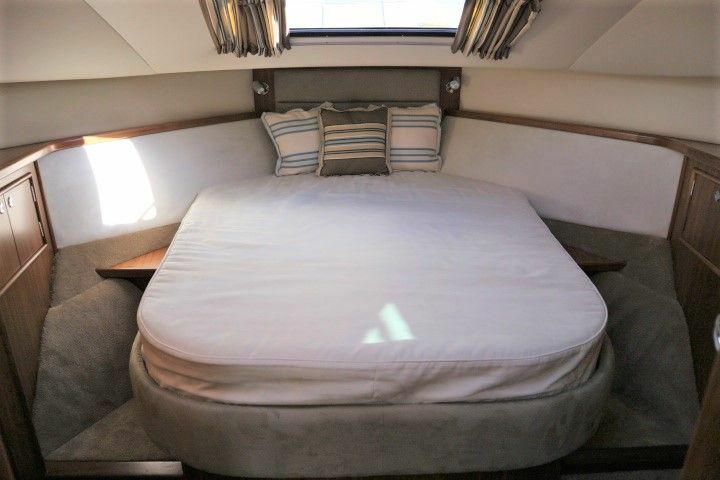 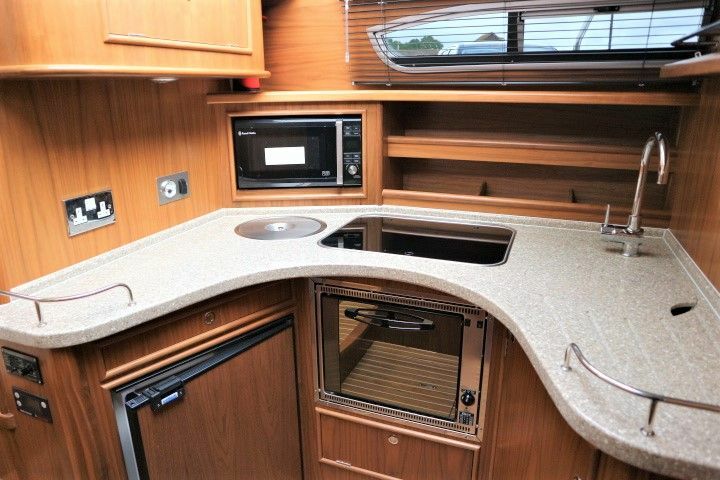 The forward cabin is home to the large island berth and ample hanging and draw space. 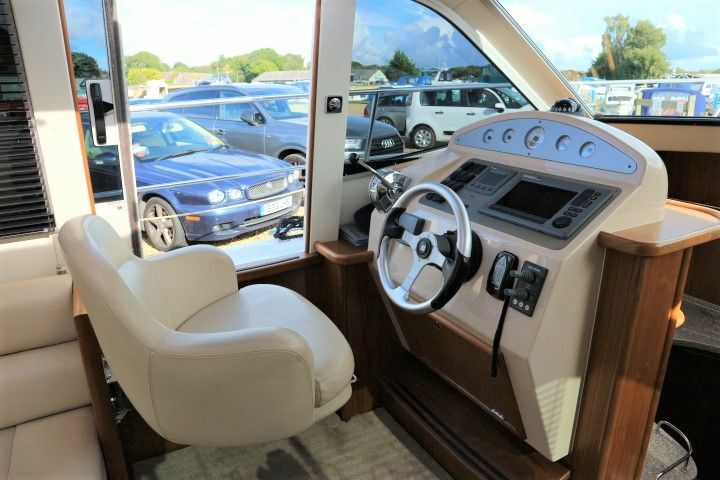 The aft cockpit contains a cavernous lazarette accessed through the flexi teak floor, along with an additional fridge and wet bar. 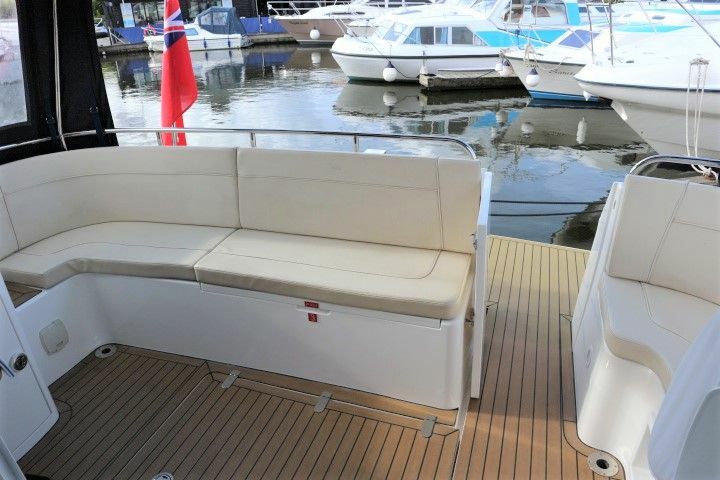 The transom seating is comfortable enough to lounge on, and upright enough for alfresco dinning. 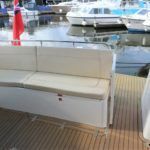 The extended bathing platform allows for excellent access.